It is very common that the roof is damaged due to the wind. After major storms and winds, it is always necessary to check your roof to make sure that everything is fine and that there will be no sudden problems and costs in your home. It is good to visit the attic, perhaps every month or two, for precaution because there is a possibility that certain problems may arise over time. Inspection of your roof can be very simple. First, you need to look inside the attic, first the floor because there can be some water damage. Then inspect your walls. Pass your palms over them. You need to determine whether your walls are dry, that there are no any changes. 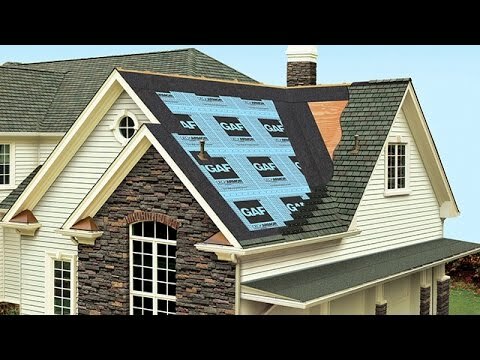 Then, review your roof instruction. See if the beams are still straight if there is any color change in roof construction. Take a good look at all the corners. Then move your palm 4 inches around your roof windows as well as through them. If it’s wet, you have a leak. If everything is OK your roof is most likely in good condition and there are no problems. If the winds were really strong and you are not sure that everything is fine, you can inspect the roof from the outside. You can do it either through the roof window or through the terrace, perhaps the ladder, so you can inspect your whole roof from a close range. If it seems that all tiles are in place, you can relax. With your roof everything is fine and there are no problems or damages. In case everything is fine, but you still do not feel safe, wait for the next bad weather. When heavy Massachusetts winds, rain or snow start, go to the attic and check if it is leaking somewhere, and if you can feel an air flow. If you notice something like this, inspect the roof again or invite the handyman to inspect it. But in 99 percent of cases, something like this will not happen.